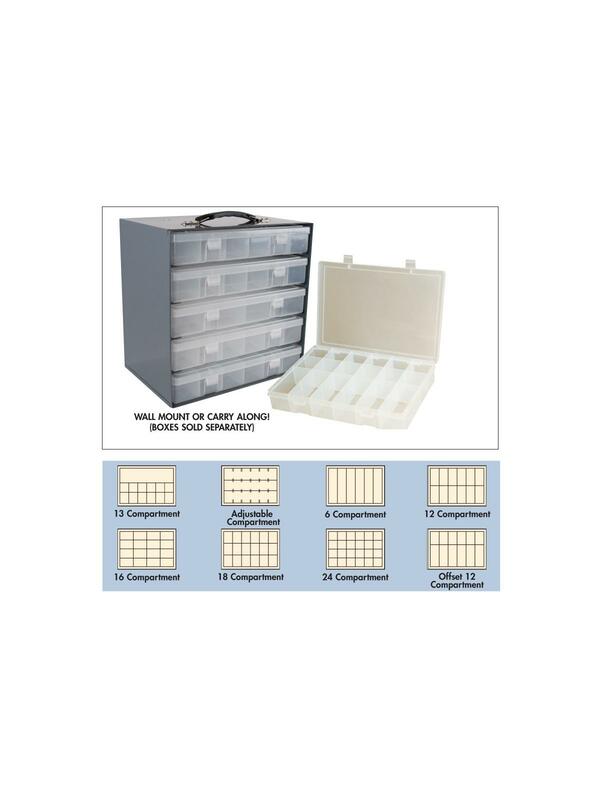 Molded plastic parts keepers for heavy-duty Steel Box Cabinets. Minimum Order: 1 Carton (10 Small or 5 Large). Boxes feature sturdy hinges that won't weaken or crack with repeated use. FOB Shipping Point. 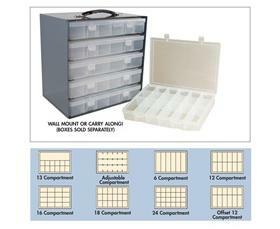 See Related Items tab for Steel Box Racks and Options for Plastic Boxes. 11 x 1-3/4 x 6-3/4"11 1-3/4 6-3/4"
11-1/4 x 10-3/4 x 6-3/4"11-1/4 10-3/4 6-3/4"